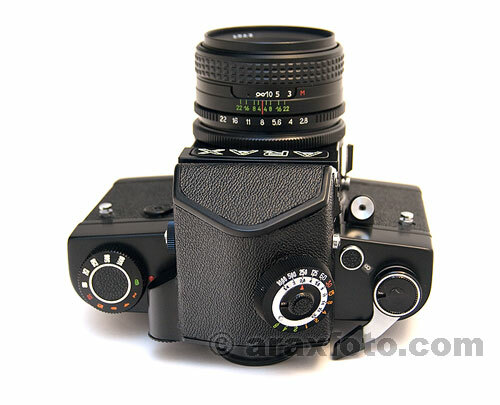 ARAX-60/MLU medium format film camera kit. 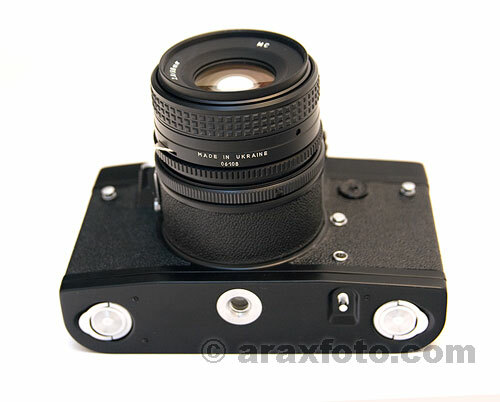 The ARAX-60 MLU (MLU - mirror lock up) is the upgraded version of the KIEV-60. 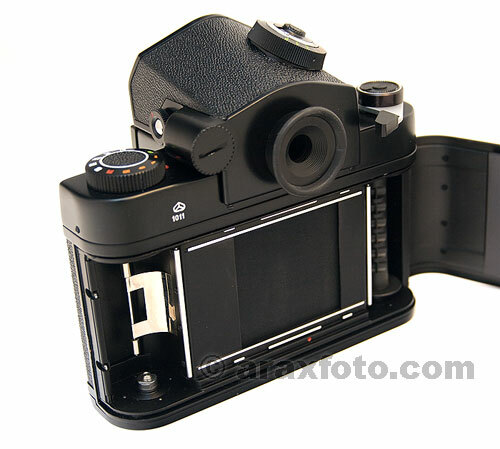 It is a fully mechanical 6x6 medium format SLR camera. 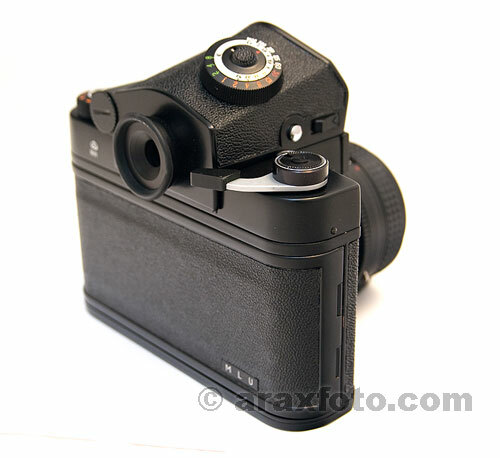 It is equipped with a black cloth shutter and flocked interior for quieter and more reliable shutter operation and no reflections within the camera body. Sold with the new mirror lock up system (working from a separate push button). You can pre-lift the mirror independently from the shutter button. When you next push the shutter button the mirror lifts automatically us usual. 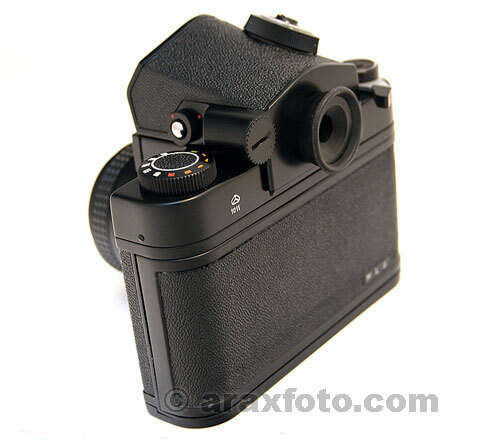 The lens mount allows the use of full line of interchangeable lenses (Schneider-Kreuznach, Zeiss, Meyer, ARSENAL and others). These range from the 30 mm ARSAT Fisheye right up to the 1000 mm Pentacon. GIFT from our company - every new ARAX camera comes with specially designed high impact ARAX camera bag, perfectly defending your precious ARAX gear from impacts and accidental falls. The ARAX cameras are the future of the medium format generation, giving absolutely exceptional performance because of their superior quality. 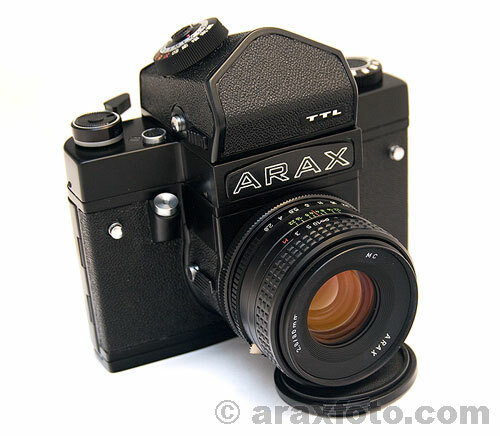 These custom built ARAX cameras guarantee the user a high degree of confidence and value.